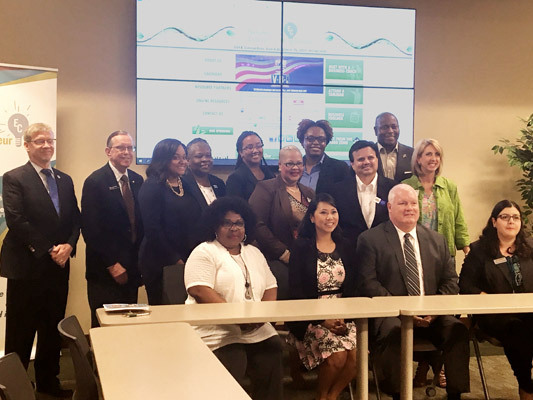 NAWBO-Orlando’s chapter leaders participated this month in a Microloan event hosted at their local National Entrepreneur Center with Congresswoman Stephanie Murphy. 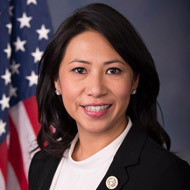 NAWBO National was recently proud to applaud the U.S. House of Representatives passage of the Microloan Modernization Act of 2017—legislation sponsored by Congresswoman Stephanie Murphy (FL-7) and supported by NAWBO. The bill, which passed unanimously, reforms the U.S. Small Business Administration’s (SBA) Microloan program and will give small business owners greater access to loans of up to $50,000. “Women business owners are a diverse and strong subset of our nation’s business community and a significant contributor to our nation’s economy,” says Kathy Warnick, NAWBO National Board Chair. “Regardless of size or sector or stage of development, business owners require capital. 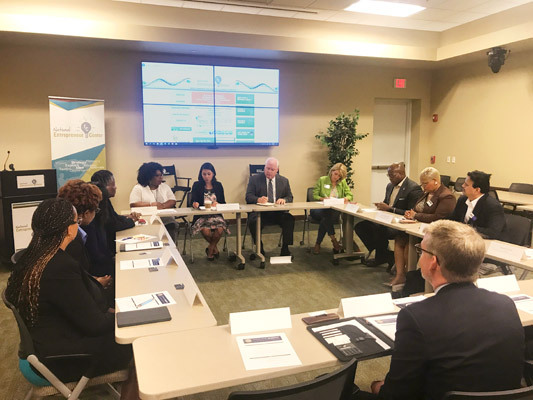 NAWBO is proud to support the Microloan Modernization Act and its dual push for the expansion of the existing Microloan program as well as a study of the program to measure its efficiency and effectiveness and report the results to the Small Business Committee. We hope that increasing the amount of capital accessible through this program will be shown through the study to expand program participation and to allow more small business owners the access they need to capital and other management and technical assistance.” The Microloan Modernization Act of 2017 passed the U.S. House of Representatives under suspension of the rules on Monday. Under the Microloan program, SBA makes loans to nonprofit organizations known as intermediaries, who in turn make short-term loans to small businesses and nonprofit child care centers. Murphy’s bill would increase the total amount an intermediary can borrow from SBA from $5 million to $6 million, giving small businesses and entrepreneurs greater access to Microloans. The bill would also enable intermediaries to use a larger percentage of the technical assistance grants they receive from SBA in order to help small business owners navigate the Microloan application process and position themselves to obtain a loan. The Microloan program is particularly helpful to small business owners with little or no credit history, women and minority business owners and entrepreneurs who may not qualify for traditional bank loans or even for the larger loan guarantee programs that SBA administers. Economic growth and job creation have been among Murphy’s main areas of focus since arriving in Congress. She has authored or co-led numerous bipartisan bills designed to empower central Florida’s job creators and working families. For example, Murphy successfully included an amendment in the Fiscal Year 2018 National Defense Authorization Act—which was also recently passed by the House—that will help high-tech small businesses obtain federal funding to produce innovative products that could later be commercialized. She also teamed up with Congressman Dave Brat, R-Va., to introduce H.R.2835, the Veteran Small Business Export Promotion Act, which would exempt veterans from paying upfront fees associated with SBA’s export loan programs, allowing thousands of veterans to invest more of their hard-earned money towards the growth of their enterprise. To read Rep. Murphy’s House floor remarks prior to the passage of her Microloan bill, click here.